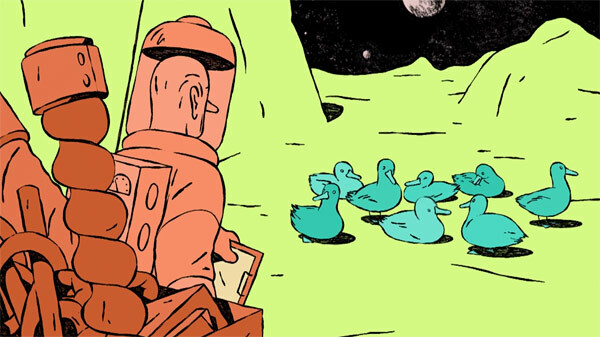 A really good fun little animation, directed by Titouan Bordeau, about a man and some ducks somewhere out in space. The artist made the film in his second year at l’école de la Poudrière. Watch this awesome video!